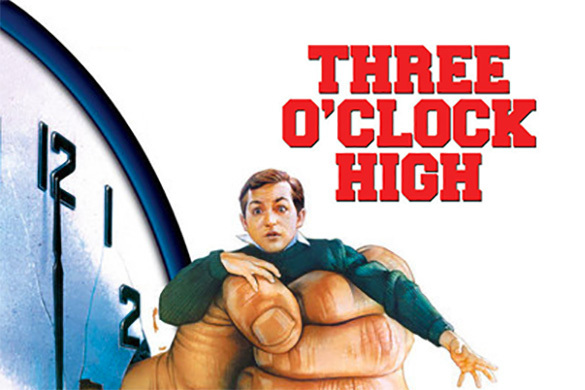 Three O’Clock High, the made-in-Utah high-school comedy was released this month, 30 years ago. Filmed mostly in state, at our very own Ogden High School, the film stars Casey Siemaszko and Richard Tyson, and features an interesting wider cast and crew. Transparent’s Jeffrey Tambor plays teacher, Mr Rice, Bridesmaids’ and Ghostbusters’ director Paul Feig plays the Hall Monitor, and Yeardly Smith, otherwise known as the voice of Lisa Simpson, features as a cheerleader. The great Steven Spielberg was an uncredited executive producer, alongside 90210’s Aaron Spelling and Alan Greisman (Fletch and The Bucket List), who also executive produced the feature. 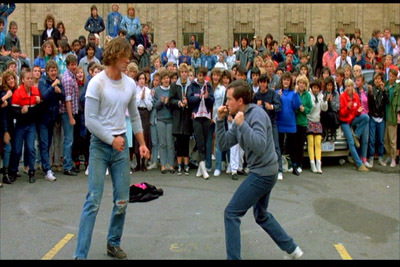 For those not familiar, the plot follows meek student, Jerry, who finds himself on the wrong side of a new bully and is challenged to a fight on the school grounds at the day’s end. Here’s a flashback to the original trailer. Thirty years after its theatrical release, the 1987 cult film celebrates its anniversary with the release of a special edition Blu-ray on October 17th. 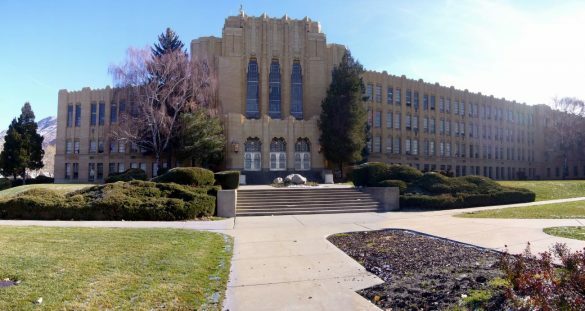 And its film locations continue to attract attention, with Ogden High School still appealing to filmmakers after all this time. The anticipated first season of high-school-based web series, Youth & Consequences, recently wrapped production at the same location.